From Adam Smith to ancient sea monsters, below are a few of our favorite items from this year’s List. 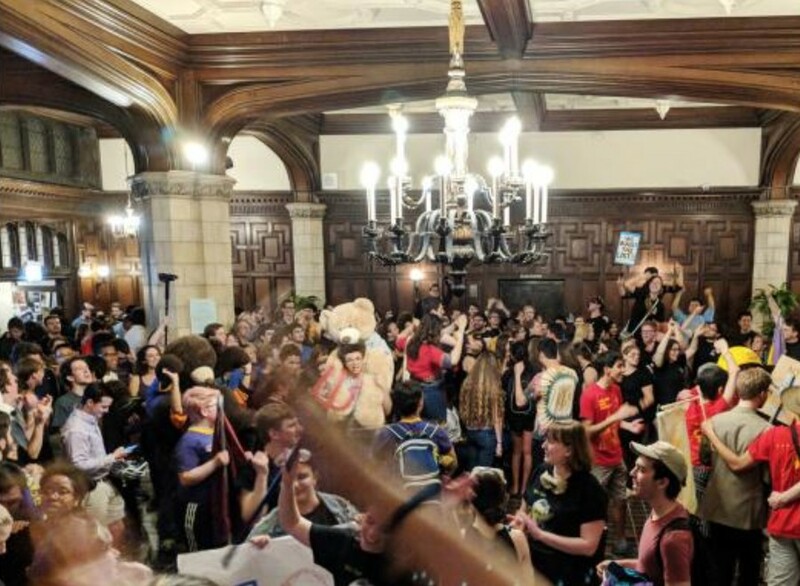 The University's annual Scavenger Hunt kicked off with the midnight list-reading in Ida Noyes. With a List of over 300 items, there are abundant opportunities to win points during this year’s Scav. From Adam Smith to ancient sea monsters, below are a few of our favorite items from this year’s List. Teams must procure “concrete evidence of the dark side of the government by getting a United States senator to say ‘I am the Senate’ along with [their] team's name. [25 points for federal senator; 5 points for state senator; 0 points for using pre-existing clips].” Our only disappointment is that they did not make this Item 66. According to legend, a fish-like monster appeared in the sea 500 years ago and was captured and held by the king of Poland. When a group of Catholic bishops gathered to see the monster, they released the beast and before it swam away, it made the sign of the cross to the congregation, never to be seen again. So, students are expected to bring one to Judgement on Sunday for five points (one for every century since the fish was last spotted, we presume). According to whoever creates the List, “[their] prior is that there’s always a Bayesian bear! Bring a bear to Judgement…. The Bayesian bear is recognizable as a bear, but beyond this we recommend a flat prior. [15 points].” To help them get it right, participants are allowed to present two candidate bears to judges at events prior to Judgement.